Trunk or Treat is great fun, and we have some "do's and don'ts" to help it stay that way. trunk to our annual community Trunk-or-Treat! Trunk owners should make at least some attempt to decorate their own trunk. However, if you aren’t artistic but still want to stand on Candy Lane to give out candy, you are welcome to do so. The gates open at 5pm . Arrive at the county fairgrounds early on Halloween night b/c the kids are waiting for you. Parking for trunk o treat is ongoing throughout the night. It’s okay to come later; we’ll make space for you. We have children trick or treating all night long. Trunk owners should bring their own candy or treats. We are encouraging each participant to plan for at least 200 children. 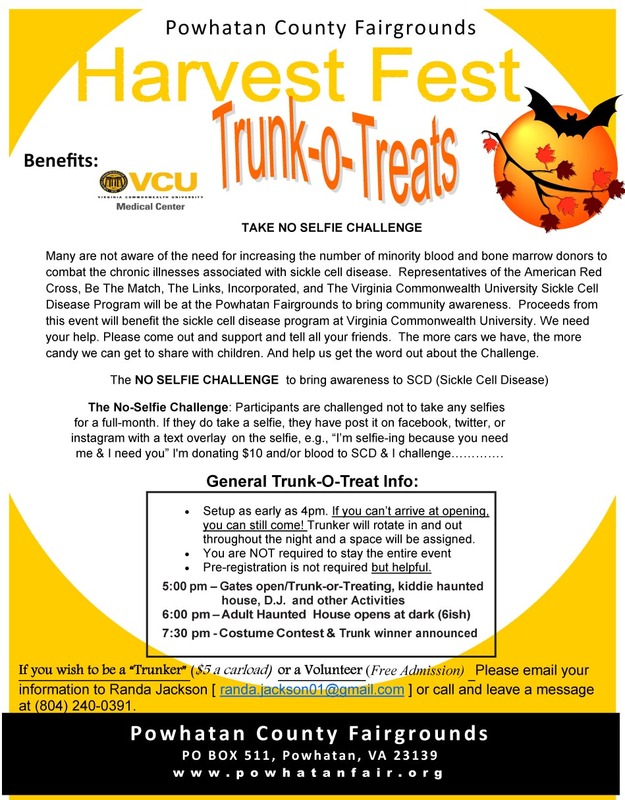 Last year we had over 1,000 children come through the gate, so please make sure you have enough treats for this event. 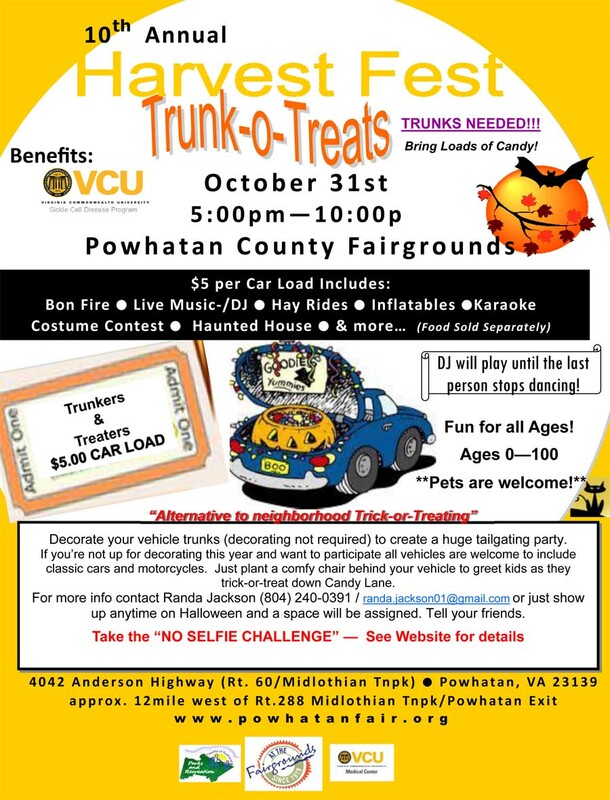 We will have candy on hand in case trunks run out, but we would appreciate it if you would plan for at least 500 so we have enough for everyone..
Trunk owners should remain with their trunk to hand out candy. This will avoid the kids that would likely take a fistful. If you plan to use electricity for your trunk design, it must be powered by your car. You will NOT be allowed to use/bring generators or plug into the fairground’s outlets. There will be hot dogs and marsh mallow roast at the fire pit. The hayride begins as soon as there is line of kids. It’s fun and exciting. We ask that everyone remain in the wagon. No pushing anyone off. Suggestions: If you’re having difficulty thinking of trunk decorating ideas, try googling the words “trunk-or-treat” and you’ll find TONS of pics! We would also like to encourage our trunk owners to dress themselves up as well! It’s not a requirement, but it makes it that much more fun!